Had Steve Jobs' original design for the iPhone been used on the device, there would have been two buttons on the handset instead of the one home button. The late CEO and Apple co-founder wanted the device to come with a back button for navigation. Imran Chaudhri, who worked as a designer at Apple for over 19-years, revealed that originally the iPhone was to sport no buttons at all. Eventually, it was determined that a home button was necessary and Jobs wanted to add the back button. The comments made by Chuadhri are found in the new book, "The One Device: The Secret History of the iPhone." According to the book, Chaudri was able to talk Jobs out of this notion. He did this by telling him that to make people trust that the device will do what they want it to do, there should be no second button available on the iPhone. 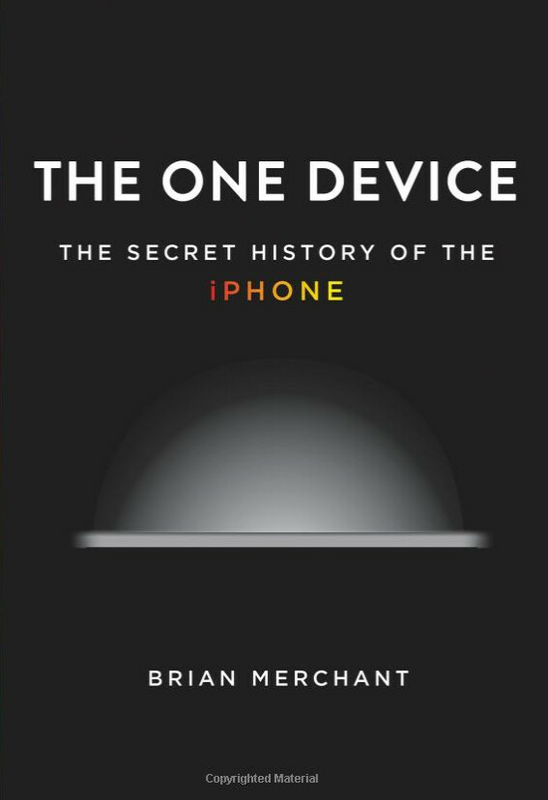 The One Device, written by Brian Merchant, launches today and is available from Amazon for $19.04. That is a discount of $8.96 or 32% from the list price of $28. You don't have to be an Apple fan or even an iPhone user to find this a fascinating look at how one of the most important consumer products in history was made. It also gives readers a ringside seat during the sparring that took place during certain times when big decisions, like whether or not to include a back button, were made. Iphonearena going to ban me for saying that too. A back button is the FIRST thing I agree with this evil moron about. Every day I curse Jobs for killing American jobs, the removable battery, microSD, physical keyboards, durable phones, and reasonable prices. I'm glad he didn't do that. It would be kind of unusual and it would make the phone somewhat undesirable. Poor Killary, you have no clue. Yeah, like the LG G4 and others before it are ugly? He said a "back button" not a button on the back. "IF Jobs did that, we will see lots of android cheap phones have a button on the back as well and it will be pretty ugly" I can't tell if you are being funny or not. But the "back" button is on the front of the phone -- to go back to the screen you were before. All the Androids have this, which makes Androids superior. Just like Apple wouldn't put a right click function on their Mac mouse, while Windows did. Apple is more about looks than actual functionality. Which is strange they kept ugly physical home button for so long with HUGE respective top and bottom bezels when Android long surpassed that with virtual buttons. And still...would've been more useful than the bixby button! lol!! What a marketing machine from apple for some of the brainless out there? S. J. has even surpassed God. Blasphemy? You sir need to attend church if you believe that. You do not need to attend Church in order to understand that you can't put a man at equal level with a god, a revered spiritual deity. Morally incorrect to say a human being has surpassed God! Ah! Back button, eh? Aye, I personally find it rather odd to have no back button in an Operating System, let alone a Smartphone. Of course, it helps make the iPhone look cleaner, simple and minimalistic but... The shortcomings are rather obvious: 1. It puts a TON of strain on the poor little button. You've to constantly mash that poor fellow...! 2. New users (coming from Android and Windows Phone) have to spend a considerable time with the iPhone to get used to having no back button. It has a steep learning curve... 3. It's less efficient as users have to spend extra time to navigate The OS. 4. A friend once lended me his iPad to check the mail and trust when I tell you that while surfing the internet, you "NEED" a back button...! Of course there's an option of a virtual Back Button in Safari, but it's not enabled by default...! 5. It's just plain odd...! 6. I hate it... 7. Did I mention how much I hate it...? The solution in Blackberry 10 is just way better... Simple swipe up and viola, you're in multi-tasking menu...! Oh well, G'Day! Swiping from left to right is the back button in iOS. It's not that difficult. This exactly. Especially when you have removed almost every Apple app you can. Swipe left just doesn't work. It's a big hurdle that bugs the hell out of me by the OS. Such a basic feature missed. Ohh okay!! Didn't knew that. Atleast has been working on many apps that I use. "Back Button" is one of the biggest reason I find iOS is not ergonomic to navigate. Another one is the "Recent Apps Button". I can simply do one-click and choose the apps recently being used. The iOS has to double-click the home button.